Louisa, Ted, Chris, John, and Natascha – our full-time hospitality Associates who have contributed so much to Frogtown in a relatively short period of time. Ted and Louisa came to Frogtown with significant experience and knowledge in many phases of today’s wine industry, including as educators and providers of superior service and wonderful hospitality experiences to our customers. Louisa and Ted are also leading Frogtown’s new face in selling Frogtown made wines to restaurants and wine shops in metropolitan Atlanta and North Georgia. As this wholesale segment of our business becomes more established, Frogtown will provide a list of restaurants and wine shops where you can purchase our wines. Chris is Frogtown’s Executive Chef and a significant part in assisting Cydney in Frogtown providing “chef-driven, creative cuisine” to our dinners and events. Chris will be employing his talents in expanding Frogtown’s food service to creating an Italian Bistro experience at Frogtown in our soon to commence dinners to be offered on Friday, Saturday, and Sunday evenings from 6:00pm to 8:30pm. Natascha and John are relatively new to the wine business. John has been providing services at our tasting bar and assisting me in the vineyard. Natascha will serve as Frogtown’s hostess during the very busy times on Saturdays and is Cydney’s assistant in the weddings and events part of our business. Natascha is additionally providing assistance to Cydney in administrative functions, particularly assisting you, our Citizens, in Wine Club matters. On your next visit to Frogtown please get to know Louisa, Ted, Natascha, and John and even more important assist Louisa, Ted, Natasha, and John to get to know you! A lot has occurred in 2017 establishing Frogtown as an East Coast AND a West Coast Winery, offering estate grown and made wines from significantly different terroirs. Frogtown Citizens are now able to receive Wine Club releases from our Dahlonega Estate vineyards and wines containing California grown wine grapes. Soon our California grown segment of our Wine Club Releases shall also be exclusively Estate grown wines from our Adelaida and Geneseo vineyard, to be labeled “Grown, Produced, and Bottled,” as our Estate grown wines from Georgia are labeled. In 2017, Frogtown commenced California wine making from grapes grown at our Estate Adelaida and Geneseo vineyards. Frogtown has established what is referred to as an “Alternating Proprietorship” under applicable Federal and State of California law at Alta Colina Winery, a winery estate growing grapes in the Adelaida Sub-AVA of Paso Robles. Alta Colina, is located at 2825 Adelaida Road, Paso Robles, California and is approximately 1,500 feet “straight as the crow flies” from Frogtown’s Adelaida vineyard. An Alternating Proprietorship allows Frogtown to make and label California grown Estate wine under the Sub-AVAs of Adelaida and Geneseo in the Paso Robles, AVA. An Alternating Proprietorship is a written document providing for shared portions and dedicated portions of a Host Winery to two or more wineries. Alta Colina is the Host Winery and Frogtown is the Alternating Proprietor Winery. If you are in Paso Robles, California drop by and say Hi to the good folks at Alta Colina and enjoy their extremely well-made Estate grown premium wines. Frogtown and Alta Colina share many of the same philosophies about the significance of terroir gown and made wines. Frogtown shall not maintain a tasting room at the Alta Colina Winery. In the near future, it is our plan to open up either a tasting room or a small winery/tasting room at Frogtown’s Geneseo property located at 4501 Highway 46 East, Paso Robles California 93446. Upon the opening of a California tasting room, Frogtown will establish a “California based” Wine Club to visitors of this California tasting room; offering Estate grown and made Paso Robles AVA wines from our Adelaida Sub-AVA and our Geneseo Sub-AVA Estate vineyards AND, and assisting our California Wine Club Citizens in obtaining Wine Club Releases of our Estate wines grown at our Dahlonega Plateau AVA vineyard made at our Dahlonega, Georgia winery. The opening of a California tasting room is the final segment of Cydney’s and my vision of winegrowing and winemaking in two entirely different and premiere vinicultural areas located on the separate coasts of the United States. Unique to the wine industry, our Georgia and California Citizens will be able to purchase and enjoy Frogtown wines grown and made from Estate grown grapes in Georgia and California. In 2014 and in the immediate preceding years, white wine grape production at Frogtown was trending lower. White wine grape production in 2015 increased over 2013 and 2014 production; but one year does not reverse a “trend”. I look back at the white wine vintage 2015 with great fondness: more than adequate in quantity and wonderful in quality. Some of our best white wines Frogtown produced came from the 2015 harvest; the Chardonnay, Roussanne, MRV, and Sauvignon Blanc made from 2015 grapes are testaments to the quality of this white wine vintage. In 2015, acting upon reduced white grape vine production, I remove some red wine grape vines and replanted, in the place of such removed vines, over 5 acres of Chardonnay, Viognier, Sauvignon Blanc, and Marsanne grape vines. I had no reason to suspect at the beginning of the 2015 vintage, that Mother Nature was about to cause a severe drought at our Dahlonega vineyard commencing in late July of 2015 and continuing into the early winter months. This drought did not harm vines which were planted before 2015, but severely adversely affected the white wine grape vines planted in 2015. We experienced at 70% loss of these newly planted vines. In 2016, Frogtown replanted the vines that were lost in 2015. These new plantings of white wine grape vines will produce white wine grapes for the 2018 vintage, a year later than planned. The 2016, and 2017 vintages reverted to the negative production trend Frogtown experienced prior to the 2015 vintage. Reduced harvest of white wine grapes in 2016 and 2017 will result in diminished white wine choices our Citizens will have available to them in 2018. A few of the white wines Frogtown has produced over the years will not be available. Paso Robles Vineyards. Frogtown continued to experience adequate development of its Adelaida and Geneseo vineyards. In addition to selling grapes from our Adelaida vineyard, Frogtown harvested over 10 tons of grapes for its own wine production in 2017 principally from the Geneseo vineyard. Expect Some Interesting Red Wines from the 2014 Vintage at Dahlonega. When added to the 2014 Touché, 2014 Bravado, 2014 Penchant, Shotgun, Fourth Reload and Applause, Third Standing Ovation (both containing substantial amounts of 2014 vintage wine) bottled earlier this year, the 2014 red wine vintage, in number of cases will be approximately the same as the 2013 red vintage wines. At this time, I would expect the only 2014 red wine to be labeled as a reserve wine will be the 2014 Citizens Estate and that wine will be labeled as a varietal Cabernet Sauvignon containing principally Cabernet Sauvignon, harvested by Citizens on the 2014 harvest day with Craig, and some Malbec. I am very impressed with the quality of the 2014 Norton, a non-vinifera wine. At this time, I am not prepared to say that the 2014 Norton will be a reserve labeled wine. If we do put a reserve designation on the 2014 Norton, it will be the first non-vinifera wine ever produced with a reserve designation. The genus vinifera is the scientific name for the world’s most recognized wine grape varieties (all but 4 of the 23 separate varieties planted at Frogtown are vinifera vines). In comparing the quality of the 2014 vintage to the 2013 vintage, don’t be misled by the fact that the 2013 vintage comprised three red wines labeled as reserve. Since 2004, our first Reserve labeled wine, with the sole exception of the 2011 Citizens Estate Reserve, all of the Frogtown Reserve labeled wines have been varietal labeled vinifera wines (Cabernet Sauvignon, Merlot, Cabernet Franc, Tannat, Sangiovese, and Petit Verdot). Many of such varietal labeled wines containing 100% of the variety referenced on the label. Why is this so? Frogtown is not in the business of making reserve varietal wines at the expense of the quality of its proprietary red blends in any vintage. There is no such “thing” as a Reserve Propaganda, Reserve Touché, or a Reserve Bravado, for example. Every vintage has its own unique character and possibilities which are revealed and confirmed when the vintage wines are ready to be bottled. Simply, the possibilities were present in 2013 for allocating reserve quality grapes to Reserve varietal labeled wines without affecting the quality of the 2013 proprietary label wines produced. The same possibilities did not exist in the 2014 vintage. I am confident our Citizens will be excited about this 2014 vintage in terms of both quality and uniqueness achieved. Wines included in the December Wine Club Release. Frogtown released the following white wines from our Dahlonega Plateau vineyard: 2015 Frogtown Vineaux Blanc, 2015 Frogtown Marsanne and 2015 Frogtown 770. The Red wines released from the Dahlonega Plateau vineyard were 2011 Frogtown Propaganda, 2013 Frogtown Propaganda and 2013 Frogtown Touché. I hope our Citizens are as happy to receive a vertical bottling of Propaganda as Cydney and I am to be able to send this form of Wine Club Release. This vertical bottling release follows the vertical bottling release of the 2011 and 2014 bottlings of Bravado. These vertical Wine Club releases are special; principally resulting from the fact Frogtown made more than 550 cases of the 2011 Propaganda and 475 cases of the 2011 Bravado. 2011 shall forever be remembered for (i) the quality of the wines, including 2 Double Gold Medals awarded to 2011 vintage wines in San Francisco and (ii) the number of cases of Propaganda, Bravado, Audacity, Penchant, Merger and Touché proprietary bottlings in 2011. Also, noteworthy is the fact that the only reserve labeled wine made from the 2011 harvest was the magnificent 2011 Citizens Estate Reserve. Please keep this point in mind and re-read the discussion above on the comparison of 2014 vintage verses the 2013 vintage red wines. So, one of the best vintages ever at Frogtown had only one Reserve labeled wine; such wine being a Citizens Estate Reserve, the only bottling I undertake with the expectation of a resulting reserve wine. The California Extension wines released were the 2012 Frogtown Compulsion, 2012 Frogtown Convergence, and the 2014 Frogtown Coax. Pronounced like the word “coax” when used to refer to a product being skillfully and gently enticed, lured, persuaded and cajoled into something, yes, something like a bottle of wine! In 2014, I purchased some Merlot and Petite Sirah grapes from the Dry Creek AVA in Sonoma County, California. This was and is the last time Frogtown will purchase wine grapes from California from another grower, as Frogtown commenced growing estate wine grapes at its Adelaida vineyard in 2014. I have always enjoyed well-made Petite Sirah wine. There are many Petite Sirah wines that are “over the top” and present too much of this very spicy grape into what can be classified as a California fruit bomb. In my view, Petite Sirah is a bigger, spicier Syrah grape. Perhaps that is how the grape Durif became to be called “Petite Sirah” in the U. S.
I learned a lot about Petite Sirah in 2014. Both Petite Sirah and Syrah have a common historical perspective by moving from a disregarded vinifera wine grape, when speaking of premium wines, to acceptance and even exaltation. The word exalt is a powerful word meaning to elevate, raise in rank, power, and praise, and even to glorify. Petite Sirah is indeed powerful and can deliver extremely lovely wines when made into a varietal labeled wine or blended with other compatible wine grapes. In a blend, the Petite Sirah can be an overwhelming blending partner. If that is what is intended, like the 2014 Coax, then all is well. However, if a winemaker is intending to add some depth and character to a varietal labeled Cabernet Sauvignon, Merlot, Cabernet Franc, Sangiovese, etc., Petite Sirah is not the correct or preferred blending partner. Petite Sirah is just to bold and too distinctive in character. Syrah, or a number of other grapes would do the job much better without the tendency to “take over” the blend.  Do the grape varieties like Tannat, Touriga Nacional, Petit Verdot, Malbec, Carmenére come to your mind as a Frogtown Citizen? The 2016 Coax is a very, very good intense example of a blend containing a significant amount of Petite Sirah with Merlot as its major blending partner. 2014 Coax has been well received by those Citizens I have spoken to at the Winery. I am looking forward to transitioning from California grapes, grown by other farmers, blended in our very successful East Coast, West Coast wine offerings to 100% estate grown, produced, and bottled California wines from our Adelaida and Geneseo California vineyards.